Training experience in a wine company in Sicily! As the ancient Romans used to say “in vino veritas” which literally we can translate to “truth is in wine.” It is well known that all Italians with great reverence relate to that alcoholic beverage. The process of its production, grape varieties and its properties are well known for the residents of the Apennine Peninsula. Wine is very important for the tradition and culture of Sicily – the largest island in the Mediterranean Sea. This is an important wine-growing area. Sicilians are extremely proud of their local varieties and they believe that the grapes ripening on the slopes of Etna are unique in its terms of taste and nutrition. I would like to dedicate this article to the Sicilian wines. 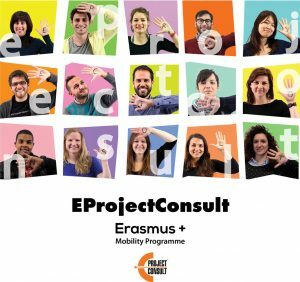 I became interested in this matter because EprojectConsult organizes many internships for foreign students in the wine companies. Last week, two of my roommates Julia and Simona began their practice in one of them. They have a unique opportunity to learn how its production, how it should be administered and deepen the knowledge of the area of their studies. Variety, which deserve for a special respect is certainly recognized the Nero d’Avola. It is often referred as “the most important red wine in Sicily.” Wines from this variety, in the Italian wine classification, have the status of D.O.C. This means that these are quality-controlled wine designation of origin. D.O.C term always refers to a limited geographical area, and applies only to wines produced from specific varieties of grapes and the collection of limited height. These wines are produced and undergo maturation under defined conditions, to meet the recommended standards for color, smell, taste, alcohol content and acidity. In the past, Nero d’Avola cultivar wines gave very dense with a very high alcohol content. Until the 80’s it was used mainly to strengthen the weak red wines deriving from the northern Italy and France. But now, the variety has gained in importance and is used to produce many fascinating varieties. The best area for growing the Nero d’Avola is around cities, Noto and Pachino. This wine has an intense ruby â€‹â€‹red color. Its taste can be felt as quite sharp with cherries, blackberries and spices scents aroma. Nero d’Avola wine is perfectly with medium matured cheese and meat in tomato sauces. Sicily is not only the red grape variety. Variety of white wine, very characteristic for this volcanic island is named Inzolia. It is one of the oldest native Sicilian grapevine. Over the years plants was propagated to the other regions of Italy. Its cultivation is very popular in Sardinia, Lazio and Tuscany. In these areas it is sometimes also called Ansonica. Wines produced from this variety have straw yellow with greenish highlights color and delicate fruity and flowery aroma. Inzolia exudes of the Mediterranean and Sicilian individuality. It is recommended with white meats, fishes and pasta dishes. The juice of the grapes from this variety is sometimes used in production of the most important Sicilian wines, which are having the status of D.O.C. Its include well-known Marsala, Bianco d’Alcamo and Bianco di Milazzo Mamertino. The diversity of grapevines in Sicily is amazing. It is impossible to describe and try them all. I therefore invite your to make your own research on this subject because, as we know, “Vinum Bonum laetificat cor hominis” – “good wine gladdens the heart of man”. All Sicilian wine certainly belong to this proverb. I recommend especially taste of wines from the Casa Vinicola Cambria that can certainly be considered as one of the most ancient and deep-rooted companies of theMessina area.